Each RMLL Division has a Commissioner who is appointed annually by the teams in a Division. The Commissioner is a Member of the RMLL Executive, represents their teams on the Executive and is responsible for administering their Division. All RMLL Divisions must meet the same standards and are treated equally. All games are 3twenty-minute stop time periods, with 10-minute intermissions. The Commissioner for the Junior Ladies is Tammy Machado, abladieslaxcomish@gmail.com . If you have any questions which can’t be answered by your Minor Club or the Junior Club Representative, please feel free to drop Tammy an email and she will answer any questions you have. The Jr. Ladies Division is one of the five Divisions in our Junior Program. The Junior Men’s Program is divided into 4tiers Jr. B Tier III, Jr. B Tier II, Jr. B Tier I and Jr. A. The Junior Ladies have an interlocking schedule with the Sr. Ladies. Boundaries for the Junior Ladies differs lightly than the Minor Program. 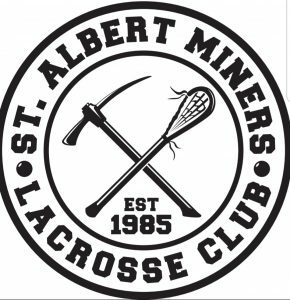 Calgary Axemen: The Axemen Jr. Ladies team has the first playing rights to the Graduating Midgets from the Calgary Axemen Minor Lacrosse Association. Calgary Cardinals: The Cardinals Jr. Ladies team has the first playing rights to the Graduating Midgets from the Calgary Hornets Minor Lacrosse Association. Rockyview Silvertips: The Rockyview Silvertips Jr. Ladies team has the first playing rights to the Graduating Midgets from the Rockyview Rage Minor Lacrosse Association, the Calgary Knights Minor Lacrosse Association and the Strathmore Venom Minor Lacrosse Association. Okotoks Raiders: The Okotoks Raiders Jr. Ladies team has the firstplaying rights to the Graduating Midgets from the Okotoks Raiders Minor Lacrosse Association and the High River Heat Minor Lacrosse Association. 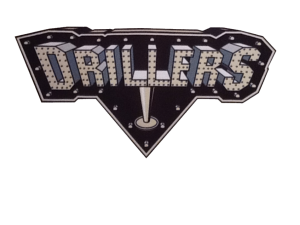 Drillers: West of the City of Edmonton, north of highway627 to highway 759.Then north of township road 514. North of the City of Edmonton to the west side of the North Saskatchewan river. From the river thenorth side of township road 542 to range road 224. West side of range road 224to township road 544. North side of township road 544 to range road 220/215.West Side of range road 220/215 north to highway 15. North side of Highway 15to Highway 855, then west side of highway 855 Heading north. Sherwood Park Titans: East of the city of Edmonton. East side of Range road 234 and as far south as Township road 510, north side of township road 510. To highway 14 then north side of highway 14 east. North boundary is east of the City of Edmonton up to highway 16 then the north side of highway 16to the North Saskatchewan river then the east side of the river to the southside of township road 542 to range road 224, east side of range road 224 to township Road 544. South side of township road 544 to range road 220/215 Eastside of range road 220/215 north to highway 15. South side Of highway 15 to highway 855, east side of highway 855 heading North. Capital Region Saints: City of Edmonton proper. East boundary is west side of Range road 234 and south side of Township road 510until highway 14, then South side of highway 14. To the west, South of highway627 to highway 759 then south of township road 514. Players residing outside of the above boundaries are considered Free Agents and may register with the Club/team of their choice. Again, if you have any questions, please let Tammy know. All first-year Juniors must register in 2019 with the Club/team which has their first playing rights. If you are unable to get the information you require, please e-mail Tammy at abladieslaxcomish@gmail.comand she can e-mail you back the contact person for the Junior Club/team you need to register with. Note: When you complete the RMLL Intent To Play, you will need to submit the ALA Player Registration of$55.25. A Jr. Ladies Free Agent is a player who resides outside of the documented boundaries for the seven Jr. Ladies teams. A player from the Calgary Sabrecats is a Jr. Ladies Free Agent. A Jr. Ladies Free Agent may register with any Club/Team of their choice. Since there is currently only a Sr. Ladies team in Central Alberta, players from Blackfalds, Innisfail, Kneehills, Lacoka,Olds, Red Deer, Stettler and Sylvan Lake Minor Lacrosse Associations can register with the Red Deer Rage Sr. Ladies team. However, if they wish to register with a Jr. Ladies team, they are Jr. Free Agents and may register the Jr.Ladies team of their choice. In Major, each team can have a maximum roster of 25players. The exception to this is Tier III, Jr. Ladies and Sr. Ladies, who can have a maximum roster of 30 and Sr. C who can have a maximum of 40. However,for all teams in all Divisions, you can only dress 20 players for each game.i.e. max 18 runners and 2 goalies. All teams in Major lacrosse, regardless of the Division they are in, must travel. It‘s up to the policies of the individual teams whether buses are used for travel games. We try to have all Division schedules posted on the RMLL website by mid March. This gives players a six-week notice period in case they must arrange/re-arrange work schedules, etc. Depending on arena availability, we try to schedule weekday games against two teams in the same local area, leaving Saturday and Sunday for travel games. i.e. team travels or team plays a traveling team. Call-ups are an important piece of player development. The number of times a player can be a call-up during a Season is unlimited. To encourage call-ups, Junior and Senior Ladies have a set night for weekday games. Jr. Ladies is Wednesday, and Sr.Ladies is Tuesday. This allows a Junior Ladies player to be a call-up for a Sr.Ladies team on a Tuesday. Governance rules in Major Lacrosse are different from Minor Lacrosse and policies may change from Division to Division depending on if a Division has their own Operating Policy. For further information, team contact information or any additional questions about the Junior Ladies Division, the RMLL, player rights, etc, please feel free to contact Tammy Machado, Jr. Ladies Commissioner, abladieslaxcomish@gmail.com or myself. We sincerely hope you register for the 2019 Season andlook forward assisting you in any way we can as you continue playing “the fastest game on two feet”. Calgary Axemen Snipers, Calgary Cardinals, Okotoks Raiders Jr. Ladies, Rockyview Silvertips, Capital Region Saints, Drillers and Sherwood Park Titans. First Playing Rights: Each Jr. Ladies team has the rights to the players who played in their respective Minor Association, except where a second-year Midget player was given an annual release by their Minor Club to play midget in another Club as their playing rights for Junior Ladies belong to their Home Club (the Club where they registered for Minor lacrosse as per their place of residence and Minor Club boundaries.) If you have any questions about this, please contact Tammy Machado. When a player is released by a Club/Team and becomes a Member with a new Club/Team, the player is now the property of the new Club/Team. The player is no longer the property of the old Club/Team. For example, if I was released in 2018 by the Axemen Jr. Ladies team and became a Member (on the roster) of the 2018 Cardinals team, I am now a Member of the Cardinals. The Axemen have no claim over me. When the player registers for the upcoming Season, the player registers with the Club of the Team who the player was a Member of (on the roster) in the Season prior. If a Club previously without a Jr. Ladies team creates a Jr. Ladies team the following Season, then a player who left the Club has the option of continuing to play for their current team or going to play on the new Team formed by their old Club. Format: Top 3 teams from Regular Season plus Host. 4 team round robin hosted by the Capital Region Saints. From Round Robin, top 2 teams play for gold and 3rd place and 4th teams play for Bronze. All games played at Bill Hunter Arena, Edmonton. The RMLL Would Like to Welcome All New Junior players to our Junior Men Programs! Major Lacrosse encompasses all players who turn 17 as of December 31, 2019 (birth year 2002). We have two age groups: Junior and Senior. Junior Lacrosse is for players between 17 and 21 years old as of December 31, 2019 and Senior Lacrosse is for players who are over the age of 21, who still wish to play competitive lacrosse. The governing body for Alberta Major Lacrosse is the Rocky Mountain Lacrosse League (RMLL). Each RMLL Division has a Commissioner who is appointed annually by the teams in a Division. The Commissioner is a Member of the RMLL Executive, represents their teams on the Executive and is responsible for administering their Division. All RMLL Divisions must meet the same standards and are treated equally. All games are 3 twenty-minute stop time periods, with 10-minute intermissions and minimum of 30-minute warmup. Excluding the Jr. Ladies Division, we have 4 tiers of Junior Lacrosse: Jr. B Tier III (currently there are no Tier III teams in Alberta), Jr. B Tier II, Jr. B Tier I and Jr. A. The main difference between each tier is the increased level of play. For example: as players develop their skills, the game becomes faster, harder hitting and with each level game strategy becomes even more of an integral part of a team’s success. A player‘s time commitment also increases with each level as a Jr. B Tier III/Tier II player is most likely on the floor 2 to 3 times a week whereas a Jr. A player is on the floor 3 to 4 times a week. The Jr. B Tier III and Tier II teams are the entry level teams for most first-year Juniors. In 2018, of the 218 first year Juniors who played in the RMLL, 16 played on a Jr. A team, 77 played on a Jr. B Tier I team and 125 played on a Tier II team. During the five-year span of Junior Lacrosse, players are encouraged to move up through the Junior Tiers as their skill level develops. The three Tiers of Jr. B are responsible for player development and provide players with the tools to further their playing skills. 1. All first-year Juniors must register in 2019 with the club which has their first playing rights regardless if the Club only offers a Tier II team. This includes drafted and non-drafted players who may be trying out for Tier I and/or Jr. A. All Junior players attending higher level team tryouts, must keep the team/club they initially registered with appraised of their progress and must also try to attend floor times of that club/team. Players successful in making a higher-level team roster will have their full registration fee refunded. Note: When you complete the RMLL Intent-To-Play, you will need to submit the ALA Player Registration of $55.25. Boundaries for the initial registration of a first-year Junior is with your Minor Club if your Club offers a Tier II team. If your Minor Club does not offer a Tier II team, then you are a Tier II Free Agent and may register with any Club offering a Tier II team. If a player, in the last year of Midget, was given a one-year release from their Minor Club to play in another Minor Club, then the player‘s rights are held by the Club giving the release. If a player, in the last year of Midget, was given a permanent release from their Minor Club to play in another Minor Club, then the player‘s rights are held by the last Club they played for. To assist with keeping the competitiveness of teams in a Division consistent, the Jr. A Division and the Jr. B Tier I Division hold annual Drafts. Each Division has a Graduating Midget Draft held annually before mid-February. Graduating Midget Draft – At the end of each playing season, the ALA provides the RMLL with a list of all the Midgets graduating from the season just completed. This list is the Graduating Midget List. All players on this list are eligible for the Jr. A and Tier I Graduating Midget Drafts. Each of the Alberta Jr. A teams draft thirteen (13) players from this list. The Crude, Titans, Warriors and Rebels Jr. B Tier 1 teams may each draft up to twenty (20) players from this list, the Jr. B Tier I Rampage and Mavericks may draft up to eight (8) players from this list, and the Silvertips, Chill, Shamrocks, Mounties and Marauders Jr. B Tier I teams may draft up to fifteen (15) players from this list. For complete details re the Jr. A and Jr. B Tier I Graduating Midget Drafts, please refer to the section “Jr. A and Jr. B Tier I Draft Detail” found at the end of this document. In Major, each team can have a maximum roster of 25 players. The exception to this is Tier III, Sr. C and Sr. and Jr. Ladies. Tier III, Jr. Ladies and Sr. Ladies may have a maximum roster of 30 and Sr. C 40 players. However, for all teams in all Divisions, you can only dress 20 players for each game. i.e. max 18 runners and 2 goalies. Call-ups are an important piece of player development. The number of times a player can be a call-up during a season is unlimited. To encourage call-ups, each Tier has a set night for weekday games. Tier III is Tuesday, Tier II Monday and Wednesday, Tier I Tuesday and/or Thursday and Jr. A Wednesday and Friday. This allows a Tier III player to be a call-up for a Tier II team on a Monday and Wednesday, a Tier II player to be a call-up for a Tier I team on a Tuesday and Thursday and for a Tier I player to be a call-up for a Jr. A team on a Wednesday. Governance rules in Major Lacrosse are different from Minor Lacrosse and policies may change from Division to Division depending on if a Division has their own Operating Policy. To help provide you with a little more specific information regarding each of the Junior Divisions, below is a summary for the Tier III Division, Tier II Division, Tier I Division, and the Jr. A Division. Following the summary of all the Junior Divisions, is further detail regarding the Jr. A and Jr. B Tier I Drafts. We sincerely hope you register for the 2019 Season and look forward assisting you in any way we can as you continue playing “the fastest game on two feet”. PS – If you have an interest in playing Jr. A, or Jr. B Tier I, please plan to attend the RMLL South or North Combine. Attending a combine allows you the opportunity to highlight your skills to the coaching staff of the Jr. A and Junior B Tier I teams prior to the Jr. A and Tier I Drafts. Who: Graduating Midgets from GELC, Wheatland, Grande Prairie, and Lacoka Minor Lacrosse Associations as well as Tier II players from Warriors, Posse, Titans, Vermilion, Lakeland, Wainwright and Lloydminster. Cost: $50 and includes a ticket to the Roughnecks/Vancouver Warriors game at 7:00 PM. Who: Graduating Midgets from CDLA, SALA, Innisfail, Kneehills and Olds Minor Lacrosse as well as all Tier II players from Strathmore, Olds, High River, Rockyview Rage, Calgary Sabrecats, Calgary Wranglers, Calgary Axemen, and Medicine Hat. Note: Graduating Midgets from Stettler, Sylvan Lake, Blackfalds, and Red Deer Minor Lacrosse Associations as well as Tier II players from the Red Deer Renegades and the Sylvan lake Yetti may attend either combine or may attend both. Teams: 2 teams (one Division). Cranbrook Elite and West Kootenay Timberwolves. Player Ages: 17 to 21 as of December 31, 2019. Most players are 17 to 19 years old. In 2018, of the 32 players playing Tier III, 6 were 20 years old and 6 were 21 years old. Currently there are no Tier III teams in Alberta. Game Days: Tues., Fri., Sat., & Sun. Format: The two Tier III teams will play a Best of 3 Series at the arena of the highest ranking team from Regular Season. Teams: 19 teams divided into a North and South Conference. North Central Division: Sherwood Park Titans, Edmonton Warriors, Parkland Posse, Crude Lacrosse Club and Westlock Rock (pending ALA approval). 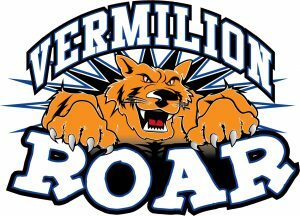 North East Division: Vermilion Roar, Lloydminster Xtreme, Wainwright Wolfpack, and Lakeland Heat. South Central Division: Calgary Axemen, Calgary Sabrecats, Strathmore Venom, High River Heat, and Medicine Hat Sun Devils. South West Division: Rockyview Rage, Calgary Wranglers, Sylvan Lake Yettis, Red Deer Renegades, and Olds Stingers. Player Ages: 17 to 21 as of December 31, 2019. Most of the players are 17 to 19 years old. In 2018, of the 400 players playing Tier II, 54 were 21 years old. Wheatland Area – Tier II teams have the rights to the players from their respective Minor Clubs. Tier II Free Agents are players where their respective Minor Club does not have a Tier II team. GELC Area – Tier II Boundaries are as per the GELC Minor Club Boundaries for players from the Titans, the Posse, the Warriors and Westlock. The Crude Lacrosse Club holds the first playing rights for the Graduating Midgets from the Rams. Players from the Blues, Beaumont, Rebels, Wizards, and Leduc are Tier II Free Agents. CALL Area – Tier II teams have the rights to the players from their respective Minor Clubs. Tier II Free Agents are players where their respective Minor Club does not have a Tier II team. CDLA Area – Tier II Boundaries are as per the CDLA Minor Club Boundaries for players from Rockyview Rage, Strathmore, Hornets, Axemen, Sabrecats and High River. Players from, Calgary Knights, and Okotoks Raiders are Tier II Free Agents. SALA Area – Tier II teams have the rights to the players from their respective Minor Clubs. Tier II Free Agents are players where their respective Minor Club does not have a Tier II team. Players residing in areas not mentioned above are Tier II Free Agents and may register with the Tier II Club of their choice if they are not already on a Tier II team roster. Game Days: Mon., Wed., Fri., Sat., & Sun. Round 1 – Top 4 teams in North Conference – Best of 3 Series – 1 vs 4 and 2 vs 3 – All games played in the arena of the highest-ranking team from Regular Season. Round 1 – Top 6 teams in South Conference – First and Second Place Teams from Regular Season have a Bye – Best of 3 Series – 3 vs 6 and 4 vs 5 – All games played in the arena of the highest-ranking team from Regular Season. Round 2 – First and Second Place from Regular Season with First Place playing the lowest seeded team from Round 1 – Best of 3 series. Provincial Dates – Friday, July 19 to Sunday July 21, 2019. Provincial Format: The North winners from Round 1 and the South winners from Round 2 will play in a Tournament Style Provincials hosted by the highest seeded North Conference team. Central Division: Red Deer Rampage, Olds Mavericks, Rockyview Silvertips and the Calgary Chill. South Division: Calgary Mountaineers, Calgary Shamrocks, Okotoks Marauders and the Lethbridge Barracudas. Player Ages: 17 to 21. Most players are 18, 19, 20 and 21 years old. Tier II and Tier III Player Draft: Prior to February 12 of each year, the Red Deer Rampage, Olds Mavericks, Rockyview Silvertips, Calgary Chill, Calgary Mountaineers, Calgary Shamrocks and Okotoks Marauders hold a draft of players registered to Tier II in the prior season. The Rampage and Mavericks draft five (5) Tier II/Tier III players from, Olds Stingers Tier II, Yetti Tier II, and Renegades Tier II regardless if a player from this list of teams has moved to another part of the Province. The Silvertips, Chill, Shamrocks, Mountaineers and Marauders draft Tier II/Tier III players from the Silvertips Rage Tier II, Calgary Tier II Wranglers, Calgary Sabrecats Tier II, Strathmore Venom Tier II, High River Heat Tier II and Calgary Axemen Tier II. 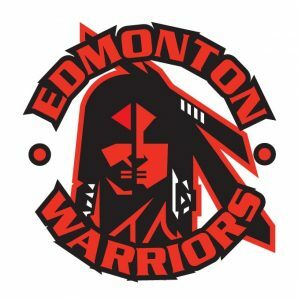 North Draft – Prior to February 12 of each year, the Edmonton Warriors, Fort Saskatchewan Rebels, Sherwood Park Titans and Crude Lacrosse Club have a twenty (20) round robin draft of Alberta Graduating Midgets. The four teams draft Alberta Graduating Midgets from Blues, Beaumont, Fort Saskatchewan, Leduc, Parkland, Rams, Titans, Warriors, Westlock, Wizards, Grande Prairie, Lakeland, Lloydminster, Vermilion and Wainwright Minor Lacrosse Associations. Once drafted, a player is notified by the team who drafted them. Players drafted to one of these teams must report to the team who drafted them and may only attend the tryouts for the team who drafted them. Red Deer Rampage and Olds Mavericks Graduating Midget Draft – Prior to February 12, the Red Deer Rampage and Olds Mavericks draft fifteen (15) Alberta Graduating Midgets from Blackfalds, Innisfail, Kneehills, Lacoka, Olds, Red Deer, Stettler and Sylvan Lake Minor Lacrosse Associations. 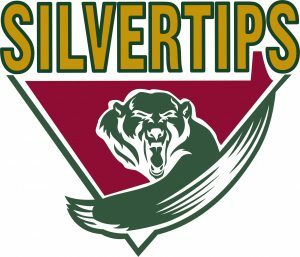 Jr. B Tier I South Graduating Midget Draft – Prior to February 12 of each year, the Rockyview Silvertips, Calgary Chill, Calgary Jr. B Mountaineers, Calgary Shamrocks, and Okotoks Marauders have a (fifteen (15) round robin draft of Alberta Graduating Midgets. The five teams draft Graduating Midgets from the Calgary Axemen, High River Heat, Calgary Hornets, Calgary Knights, Okotoks Raiders, Rockyview Silvertips, Calgary Sabrecats and Strathmore Venom Minor Lacrosse Associations. Once drafted, a player is notified by the team who drafted them. Players drafted to one of these teams must report to the team who drafted them and may only attend the tryouts for the team who drafted them. Lethbridge Barracudas Graduating Midget Draft – Prior to February 12 of each year, the Lethbridge Barracudas have a twenty (20) round draft of Graduating Midgets from Brooks, Claresholm, Lethbridge and Medicine Hat Minor Lacrosse Associations. Once drafted, a player is notified by the team who drafted them. Players drafted to one of these teams must report to the team who drafted them and may only attend the tryouts for the team who drafted them. 35 Man Protected List: Each Jr. B Tier I team can protect up to 35 players. This Protected List includes the players on the team’s previous season roster (maximum 25 players) who are still Junior eligible, plus their drafted players and selected Jr. Aged players to fill the list to a maximum of 35. If a player is listed on a team’s Protected List, the player cannot play for another Jr. B Tier I team in Alberta. A player can remain on a Jr. B Tier I team‘s Protected List for all five (5) years of their Junior eligibility unless released, traded, or not registered to the team’s roster for two (2) consecutive years. 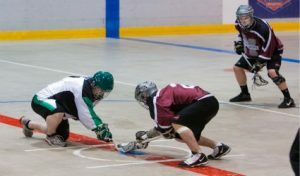 The Jr. B Tier I 35 Man Protected List is posted on the RMLL website www.rockymountainlax.com The 35 Man Protected List increases to 45 each year from the Jr. B Tier I draft dates through April 10. Drafted/Protected Players: Must report to the Jr. B Tier I team who drafted them if the player remains on the 35 Man Protected List of that Jr. B Tier I team. A player can be drafted to both a Jr. A team and Jr. B Tier I team. In this circumstance, the player must report to both teams and attend the tryouts of both teams. Jr. B Tier I Free Agent: Any player not on a Jr. B Tier I 35 (or 45) Man Protected List is a Jr. B Tier I Free Agent. Tryouts: Tryouts can be by invitation only or open. All open tryouts are posted on the RMLL Home Page www.rockymountainlax.com. All players attending Jr. B Tier I tryouts must be registered with a Club with a Tier II team. Game Days: Tues., Thurs., Fri., Sat., & Sun. Regular Season Games: 20 (10 home, and 10 away). East Division – Top two teams from Regular Season – Best of 3 Series – Friday July 19 to Sunday July 21, 2019. All games played in the arena of the highest-ranking team from Regular Season. North, Central and South Divisions – Each Division has two playoff rounds – Both Rounds Best of 3 Series. Round 1 – 1st Place team in each Division gets a bye. RMLL Championship Format: Host (Red Deer), North Division Champion, Central Division Champion, South Division Champion and East Division Champion. If Host and Central Division Champion are the same team, the Central Division Team loosing Round 2 will participate. Provincial Format: Top two AB teams from Larry Bishop Memorial Cup. Best of 3 Series. All games played in the arena of the highest-ranking team from the Memorial Cup. Teams: Calgary Jr. A Mountaineers, Okotoks Jr. A Raiders, Miners/Blues Jr. A and Saskatchewan Jr. A Swat. Player Ages: 17 to 21. Most players are 19 to 21 years old. Very few (less than 10%) of players play Jr. A in their first year of Major lacrosse. First Playing Rights: The Jr. A Mountaineers and Jr. A Raiders hold the Jr. A playing rights for all players south of Innisfail. The Miners/Blues Jr. A hold the playing rights for all players north of Lacombe. The Jr. A playing rights for players residing between Innisfail and Lacombe belong to all three Alberta Jr. A teams. Graduating Midget Draft: Annually by mid-February, the Jr. A Mountaineers and Jr. A Raiders each draft ten Graduating Midgets from the Minor Lacrosse Clubs from Innisfail south and three Graduating Midgets from the Minor Lacrosse Clubs between Innisfail and Lacombe. The Miners/Blues Jr. A draft ten Graduating Midgets from the Minor Lacrosse Clubs from Lacombe north and three Graduating Midgets from the Minor Lacrosse Clubs between Innisfail and Lacombe. Everyone in the lax community is welcome to attend. 50 Man Protected List: Each Jr. A team can protect up to 50 players. This Protected List includes the players on the team’s previous season roster (maximum 25 players), plus 13 drafted Graduating Midgets and selected Jr. Aged players to fill the list to a maximum of 50. If a player is listed on a team’s Protected List, the player cannot play for another Jr. A team in Alberta. A player can remain on a Jr. A team‘s Protected List for all five (5) years of their Junior eligibility. For example, a Graduating Midget could be on a Jr. A team‘s Protected List for five (5) years of their Junior lacrosse eligibility and never be on a Jr. A team 25 man roster. The Jr. A Teams 50 Man Protected List is posted on the RMLL website www.rockymountainlax.com The 50 Man Protected List increases to 60 each year from the Jr. A draft date to the second Sunday in April. team and Jr. B Tier I team. In this circumstance, the player must report to both teams and attend the tryouts of both teams. not protected by one of the Alberta Jr. A teams, may try out for any of the Alberta Jr. A teams. (A drafted/protected player can only attend the tryouts of the Jr. A team which drafted/protected them). Tryouts: Tryouts can be by invitation only or open. All open tryouts are posted on the RMLL website Home Page: www.rockymountainlax.com. All Graduating Midgets attending Jr. A tryouts must be registered with a Tier II team. Game Days: Wed., Fri., Sat., & Sun. National Championship – Minto Cup: Wednesday, August 14, 2019 to Wednesday, August 28, 2019 – Langley, BC. The Jr. A Mountaineers and Jr. A Raiders each draft ten (10) Graduating Midgets from the Minor Lacrosse Clubs from Innisfail south and three (3) Graduating Midgets from the Minor Lacrosse Clubs between Innisfail and Lacombe. Therefore, they draft ten (10) Graduating Midgets from these Minor Lacrosse Clubs: Innisfail, Olds, Kneehills, Axemen, High River, Hornets, Knights, Okotoks, Rockyview, Sabrecats, Starthmore, Brooks, Claresholm, Lethbridge and Medicine Hat. They draft 3 Graduating Midgets from these Minor Lacrosse Clubs: Blackfalds, Red Deer, Sylvan Lake and Stettler. The Miners/Blues Jr. A draft ten Graduating Midgets from the Minor Lacrosse Clubs from Lacombe north and three Graduating Midgets from the Minor Lacrosse Clubs between Innisfail and Lacombe. Therefore, they draft ten (10) Graduating Midgets from Lacoka, Blues, Beaumont, Fort Saskatchewan, Leduc, Parkland, Rams, Titans, Warriors, Westlock, Wizards, Grande Prairie, Lakeland, Lloydminster, Vermilion, and Wainwright. They draft three (3) Graduating Midgets from the Minor Lacrosse Clubs from Blackfalds, Red Deer, Sylvan Lake and Stettler. Jr. A Team Protected List: Drafted players are automatically added to the Jr. A Team’s Protected List and the Jr. A team holds the player’s Jr. A playing rights for all five (5) years of the player’s Junior eligibility until the player is released or traded. A non-drafted player can be added to a Jr. A team’s Protected List, if the player gives written permission, agreeing to be added. not protected by one of the Alberta Jr. A teams, may try out for any of the Alberta Jr. A teams. 1. Up until the draft dates, all Graduating Midgets on the Season Graduating Midget List may attend any Junior B Tier I floor time. 2. Up until the draft dates, all Tier II players not currently listed on a Junior B Tier I team’s thirty-five (35) Man Protected List may attend any Junior B Tier I floor time. 3. The drafts help to keep the competitiveness of teams in a local area consistent. 4. The drafts must be held each year prior to February 12. The Junior B Tier I drafts will take place after the Junior A Drafts. • Tier II and Tier III Draft (Rampage, Mavericks, Silvertips, Chill, Mounties, Shamrocks and Marauders). • The host team will be responsible for arranging a suitable venue for holding the draft and for informing the Junior B Tier I Commissioner. • There will be a twenty (20) round robin draft. • The order of drafting will be determined by the previous season’s standings and by the trade transactions where trades included draft picks. Pending trade transactions of draft picks, the team that finished lowest in the standings between the four teams will have the first pick unless a new team enters the league and then the new team will have the first overall pick. • The four teams will draft Alberta Graduating Midgets from Blues, Beaumont, Fort Saskatchewan, Leduc, Parkland, Rams, Titans, Warriors, Westlock, Wizards, Grande Prairie, Lakeland, Lloydminster, Vermilion and Wainwright Minor Lacrosse Associations regardless if a Graduating Midget from the above list of Minor Lacrosse has moved to another part of the Province. • These drafted players will be added to their remaining Junior Eligible Registered Protected players from each team‘s previous year’s Registered Protected players (roster) to a maximum of the forty-five (45) Man Protected List and will return to the thirty-five (35) Man Protected List on April 11 of each year. • Host team will alternate between Rampage and Mavericks. • There will be a fifteen (15) round robin draft of Alberta Graduating Midgets and a five (5) round robin draft of Tier II/Tier II players. • The order of drafting will be determined by the previous season’s standings and by the trade transactions where trades included draft picks. Pending trade transactions of draft picks, the team that finished lowest in the standings between the two teams will have the first pick unless a new team enters the league and then the new team will have the first overall pick. 3. Rounds 9 through 15 – Rampage and Mavericks will draft Alberta Graduating Midgets on the Graduating Midget List from Blackfalds, Innisfail, Kneehills, Lacoka, Olds, Red Deer, Settler, and Sylvan Lake Minor Lacrosse Associations. • Rounds 1 through 5 – Rampage and Mavericks will draft Tier II players from the Red Deer Renegades team, Olds Stingers team and the Sylvan Lake team. • These drafted players will be added to their remaining Junior Eligible Registered Protected players from their previous year’s Registered Protected players (roster) to a maximum of the forty-five (45) Man Protected List and will return to the thirty-five (35) Man Protected List on April 11 of each year. • There will be a fifteen (15) round robin draft of Alberta Graduating Midgets and a five (5) round robin draft of Tier II/Tier III players. • The order of drafting will be determined by the previous season‘s standings and by the trade transactions where trades included draft picks. Pending trade transactions of draft picks, the team that finished lowest in the standings between the five teams will have the first pick unless a new team enters the league and then the new team will have the first overall pick. • Rounds 1 through 15 – The Silvertips, Chill, Shamrocks, Mounties, and Marauders will draft Alberta Graduating Midgets on the Graduating Midget List from Rockyview Rage, High River Heat, Okotoks Raiders, Strathmore Venom, Calgary Hornets, Calgary Knights, Calgary Axemen and Calgary Sabrecats Minor Lacrosse Associations. • Rounds 1 through 5 – The Silvertips, Chill, Shamrocks, Mounties, and Marauders will draft Tier II and Tier III players from the Calgary Wranglers Tier II team, Calgary Sabrecats Tier II team, the Strathmore Venom Tier II team, the High River Heat Tier II team, the Rockview Rage Tier II team, the Calgary Axemen Tier II team and the Calgary Axemen Tier III team. • Will select a date prior to February 12 and after the Junior A Division Draft each year and will draft up to twenty (20) Alberta Graduating Midgets from Brooks, Claresholm, Lethbridge and Medicine Hat Minor Lacrosse Associations. Once drafted, a player is notified by the team who drafted them. Players drafted to one of these teams must report to the team who drafted them and may only attend the tryouts for the team who drafted them. 10. All Graduating Midgets on the Graduating Midget List for the Season who are not drafted, are now Junior B Tier I Free Agents. 11. All Tier II players who are not drafted in the current year draft, or not on the thirty-five (35) man Protected List are now Junior B Tier I Free Agents. 12. After the completion of the Draft(s), if a Member still has room on their forty-five (45) man Protected List, the Member may add an undrafted Alberta Graduating Midget player or Tier II or Tier III player if the player provides written permission to be added to the Member’s Protect List to both the RMLL Executive Director and the Junior B Tier I Commissioner. 13. Once drafted, a player is notified by the team who drafted them. Players drafted to a team must report to the team who drafted them and may only attend the tryouts for the team who drafted them. while under the care and control of athletes. 12.01.3 Team officials should not consume alcohol in the presence of underage players. International). The ALA discourages the use of tobacco/vape. positive test can still result in sanction. to team management or a ALA official. 12.03.6 Failure to follow the above guidelines could result in a Code of Conduct violation. The Alberta Lacrosse Association (ALA) is excited to announce the launch of Alberta Lacrosse TV. You can find Alberta Lacrosse TV at www.albertalacrossetv.com. Alberta Lacrosse TV is an online platform where the public can go to watch Alberta Lacrosse videos. Initially Alberta Lacrosse TV will provide drill videos for coaches. In addition, coaches will be able to download the drill PDF from the site . The ALA will be continually uploading drill videos to the library and build the database of drills for box lacrosse, men’s field lacrosse and women’s field lacrosse. Alberta Lacrosse TV will be the site to visit to watch the new and exciting things that are happening in the lacrosse community. Eventually Alberta Lacrosse TV will move beyond drill videos to highlight lacrosse events, player profiles and coach interviews.